For the last few years I have spent several weeks of my summer working and vacationing in Israel, spending a significant amount of time in beachy Tel Aviv. It’s hot. It’s humid. And it was absolutely wonderful, spending many days at the beach or sitting at cafes drinking lattes and icy limonana. Limonana is a sweet and tangy drink served in Israel made with fresh lemon juice, sugar, and fresh mint. Nana means mint in Hebrew, thus limonana. I always think that’s pretty cute. So it’s really a minty lemonade, which is often blended with ice and sometimes even spiked with Arak, an anise-flavored alcohol. I am not heading to Israel this summer (serious sadness) so I decided to try and recreate a little piece of my Tel Aviv summers back at home. So while I may not be sitting at the beach in Tel Aviv drinking a tall glass of limonana and people watching, I can sit at our pool and break out one of these babies to keep cool. A few notes: Juicing lemons did take a little while. Make sure you have some kind of citrus juicer to make the task easier. 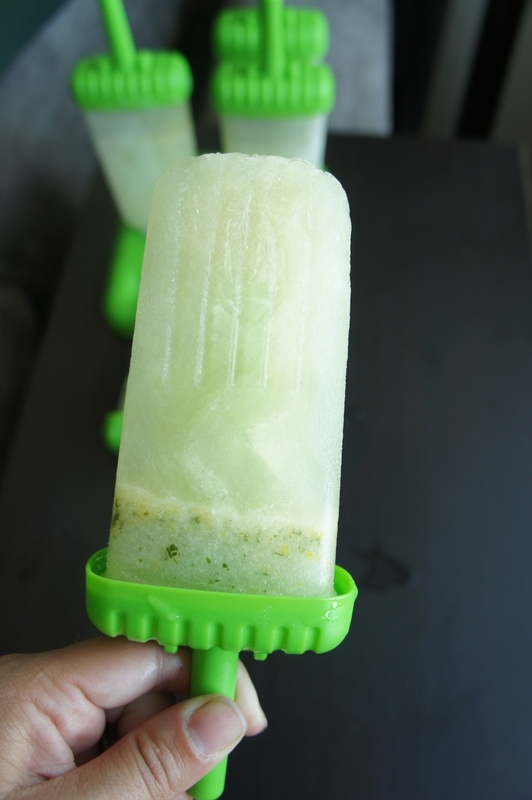 I actually had a hard time popping the ice pops out of the mold at first. Eventually I filled a tall-ish bowl with hot water and popped the ice pop in for about 10 seconds, and then I was able to remove it more easily. To make the mint simple syrup, place sugar, water, and mint leaves in a small pot over medium high heat. Once sugar has dissolved remove from heat and allow to cool. Remove mint leaves. Place lemon juice, lemon zest, water, ice, and simple syrup in a blender. Pulse a few times and then add additional mint until ice is broken up and flecks of green can be seen throughout. 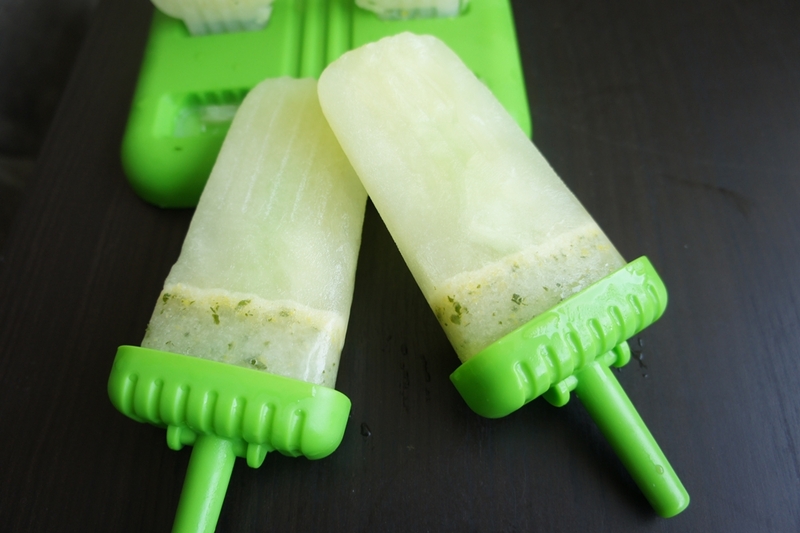 Pour mixture into ice pop molds and freeze overnight. Place molds under hot water to release. Serve immediately.